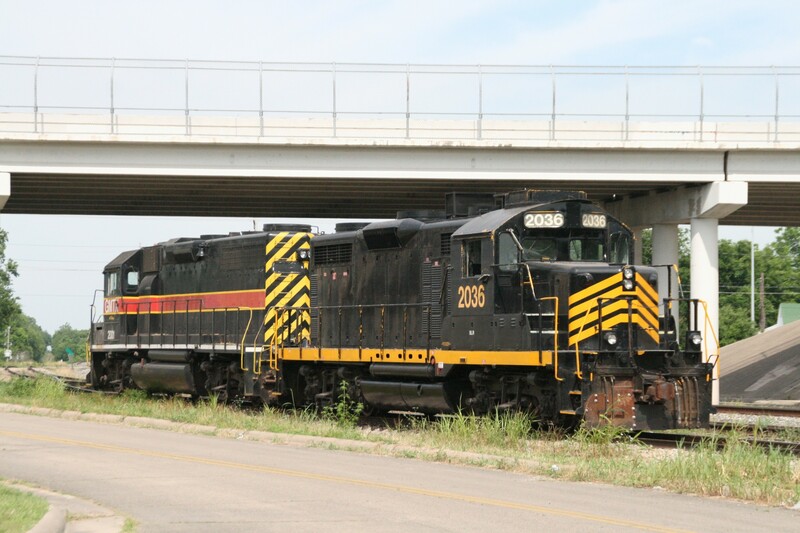 Click image or provided link to view larger image or launch video media. 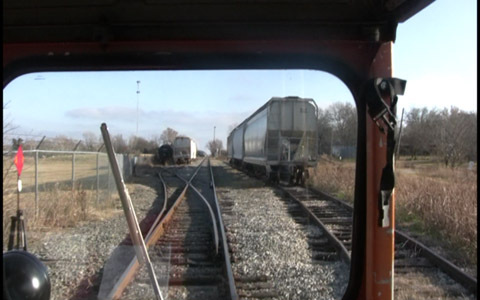 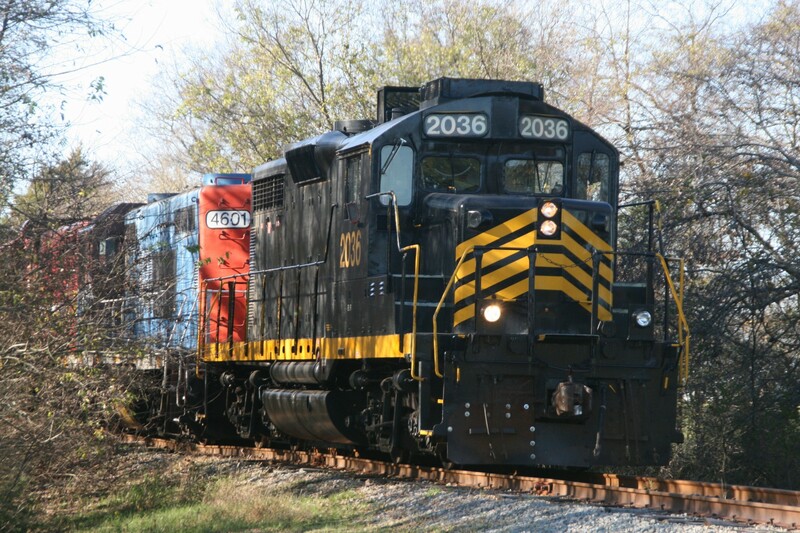 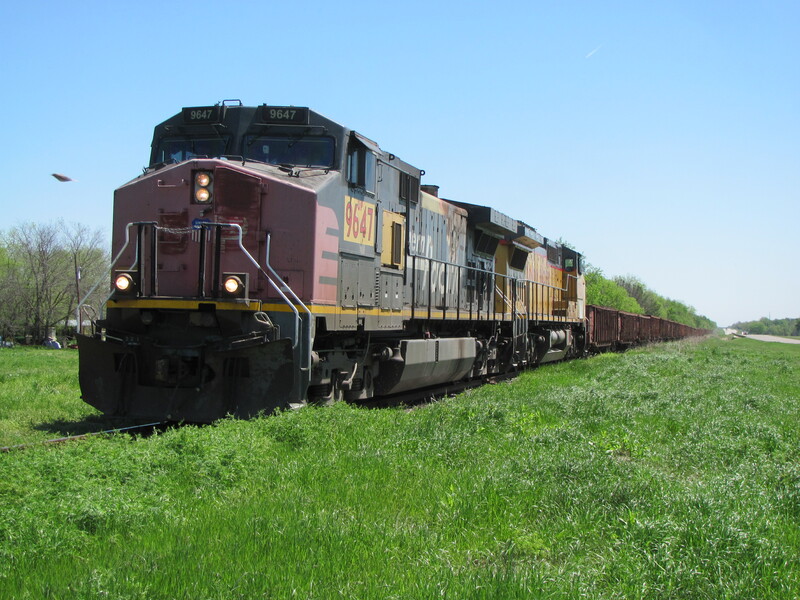 The first unit train to traverse the line in over 20 years makes its way through Ridgeway on April 15, 2014 under the skillful control of Blacklands Engineer, Mark Labrozzi. 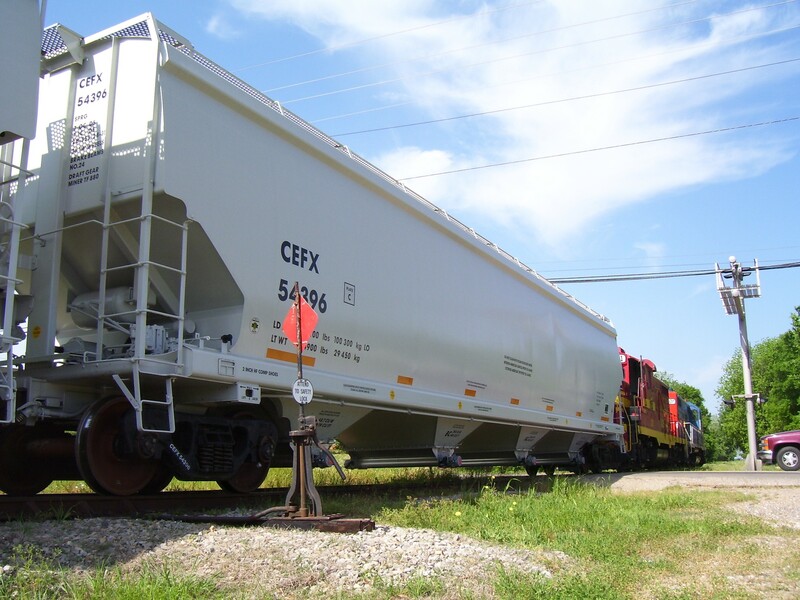 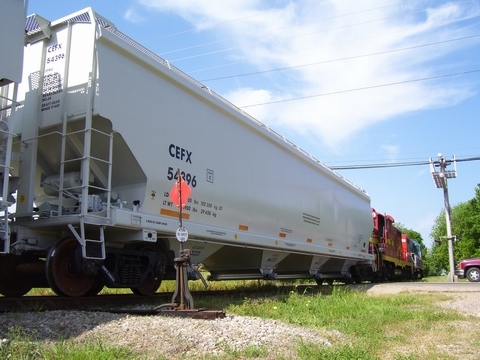 This 62-car, 8,000 ton, unit asphalt train was destined for the Martin Marietta Materials transload facility in Greenville, Texas. 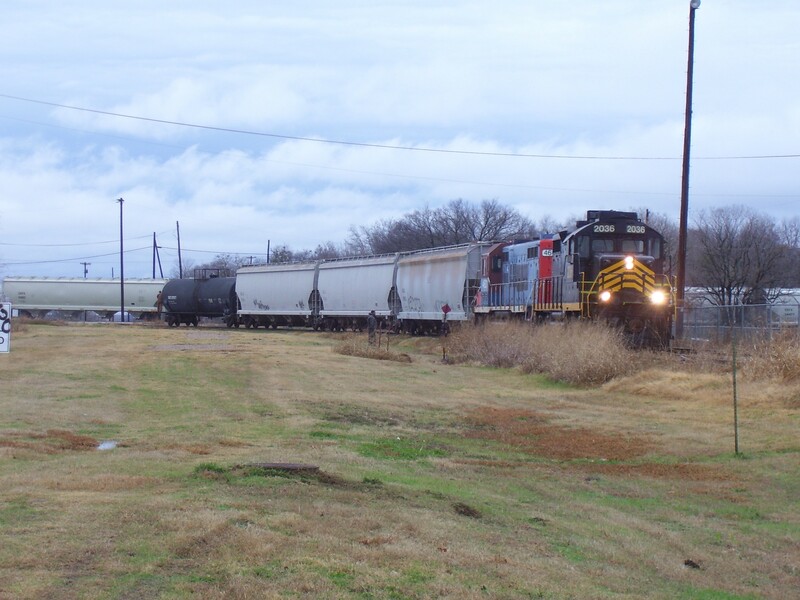 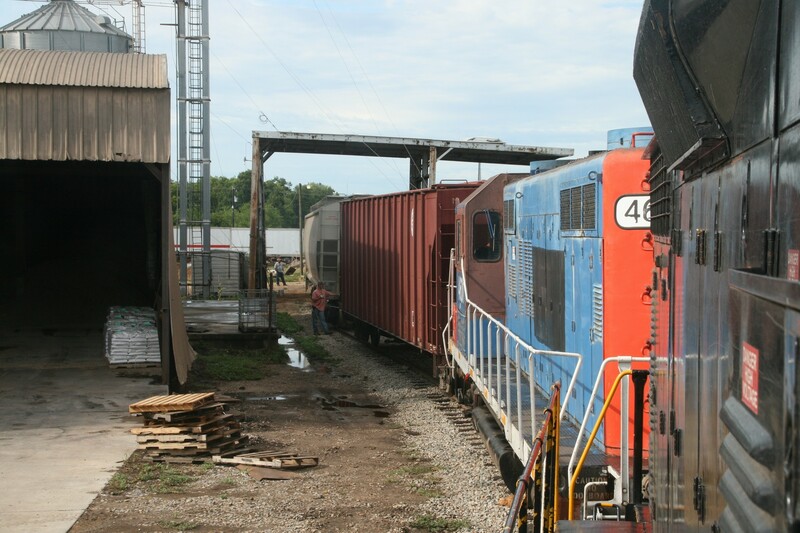 This was the first of an anticipated regularly scheduled series of like unit trains to be delivered via the NETEX/Blacklands Railroad. The Honorable Paul Lovier (left), founding NETEX Board member, is accompanied by his family at the dedication ceremony on February 27, 2012 naming the railroad location in downtown Mt. 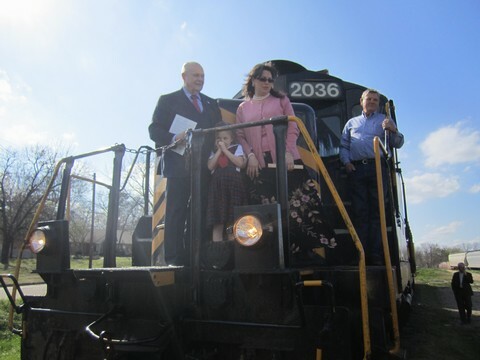 Vernon, Lovier, in recognition of his service to the district and the northeast Texas region. 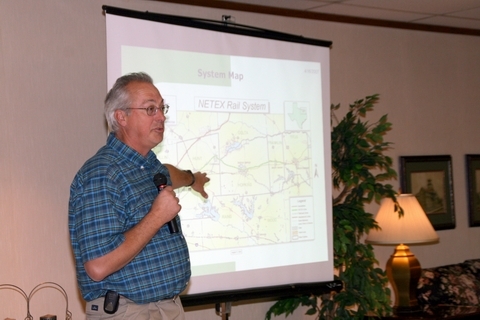 Board Vice-President Sam Young (on the right), Franklin County Pct. 4 Commissioner, presented the declaration. 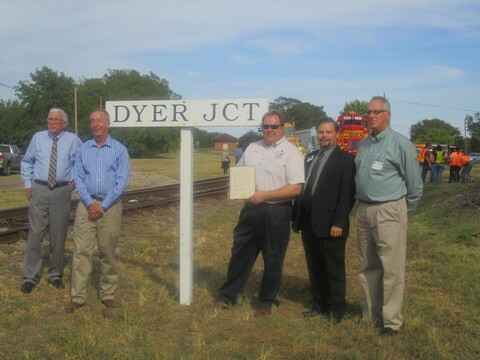 Ceremony for the official naming of Dyer Junction in Downtown Commerce in honor and memory of founding NETEX Board member, Winford Dyer, on September 9, 2011. 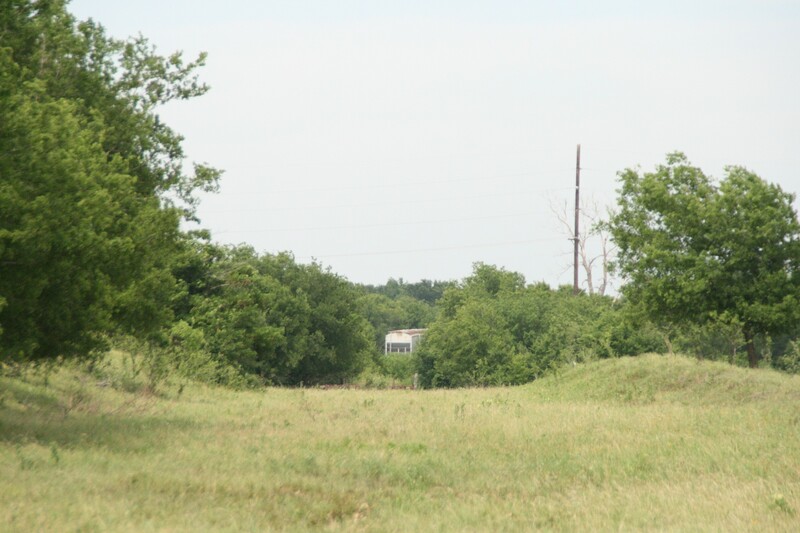 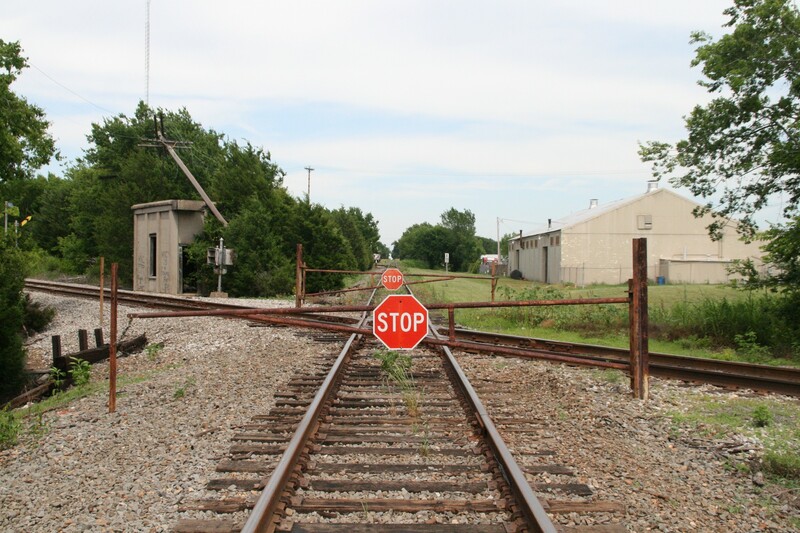 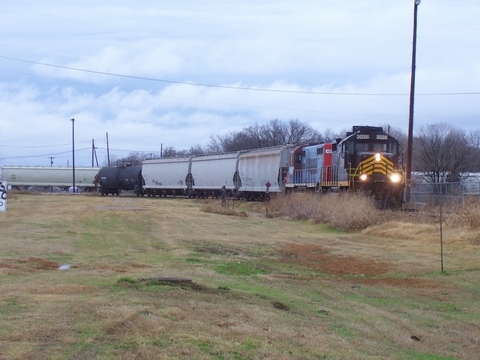 Dyer Junction is the connection to the former Texas Midland line to Paris, Texas which later became Southern Pacific Railroad's Paris Branch. 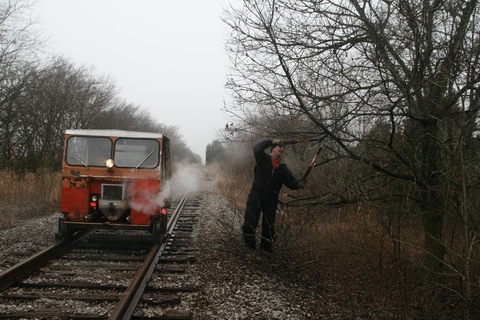 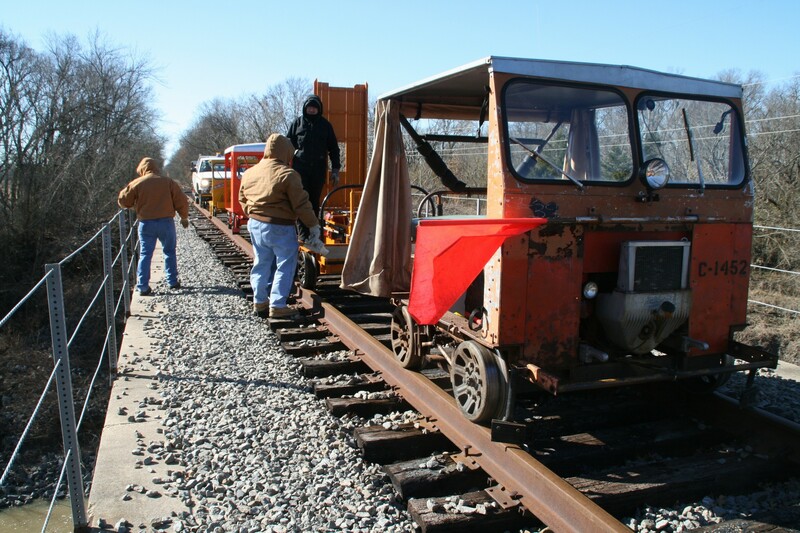 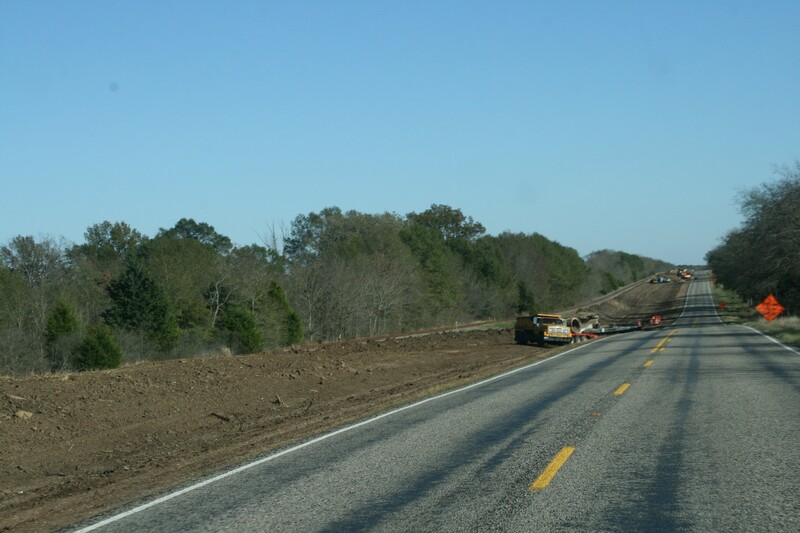 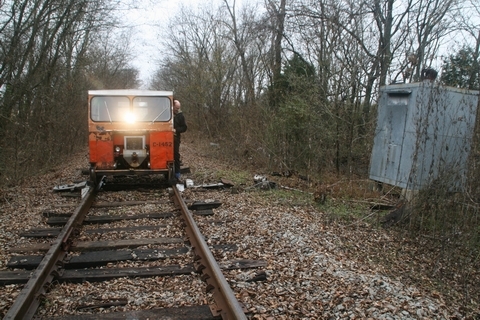 Participants in a motorcar run make a brief stop on the South Sulphur River bridge between Commerce and Neylandville to take in the scenery and replace a missing bolt on the newly restored "Rosenberg" Fairmont S2-F car, December 27, 2009. 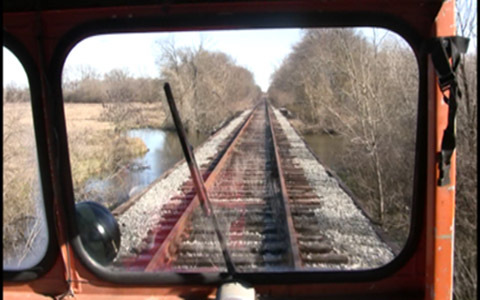 VIDEO - View excerpts of this run in High Definition on YouTube. Crossing the South Sulphur River at the Hopkins-Delta County line east of Commerce on a Fairmont motorcar, December 26, 2009. 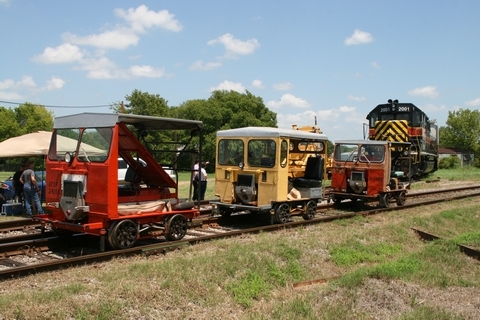 3rd Annual Cotton Belt Railroad Symposium in Commerce, August 8, 2009. Blacklands switching the CO-OP in Sulphur Springs, Texas, July 17, 2009. 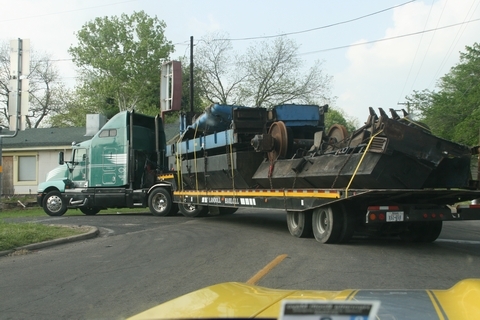 Final chassis remains of BLR #2788 leaving Commerce for Mexico on a three truck convoy, April 22, 2008. 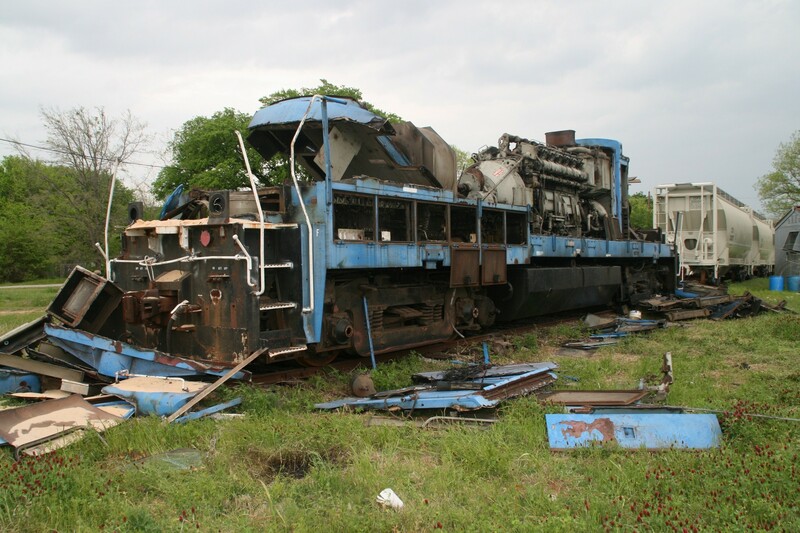 Scrapping the BLR #2788 in Commerce, as seen on April 17, 2008. 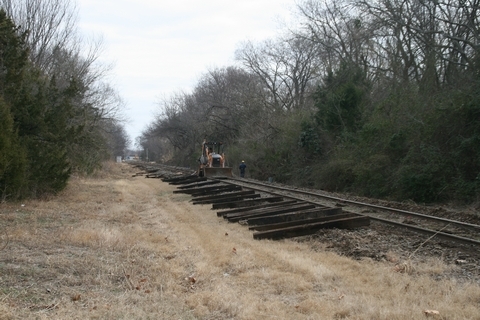 Tie replacement in Commerce, Jan. 23, 2008. Blacklands Railroad President, Wayne Defebaugh, providing an overview of operations at the Cotton Belt Symposium in Commerce on April 16, 2007. 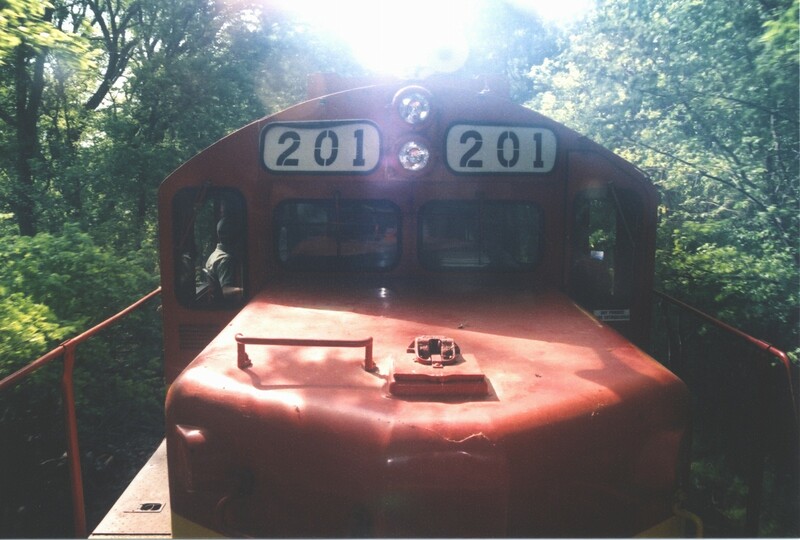 Blacklands #201 pulling the Tejas Excursion east of Ridgeway on Apr. 17, '04. 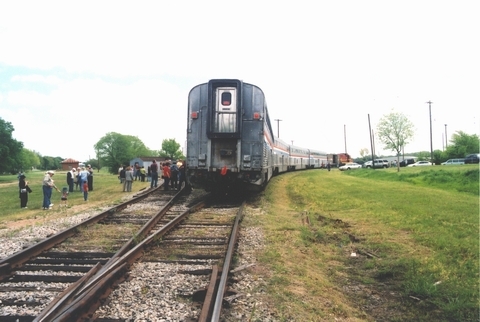 Passengers boarding the Tejas Excursion in Commerce, Texas, April 17, 2004. 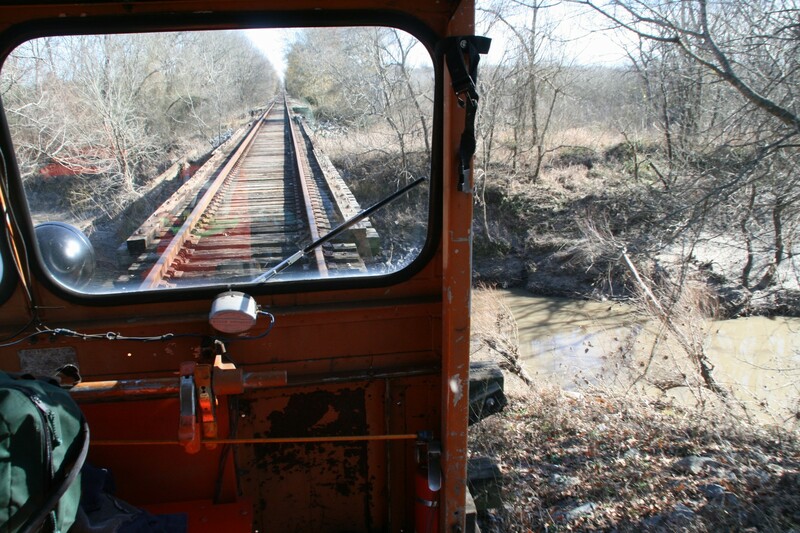 Additional photos and historical information regarding this rail line may be found at Jason Lee Davis' RailFan HomePage.